He’s over-confident, straightforward, and mild; don’t get confused he’s the very charismatic professional basketball player Mohamad Ibrahim. 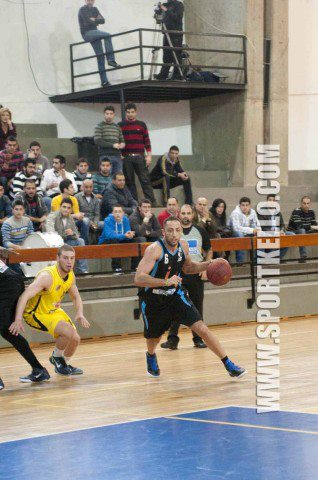 He’s the number 6 point guard on the Champville team. Ibrahim has been playing basketball since he was 6 years old. With time, evolution, and the internet it was time to get more into the social media life of our player. 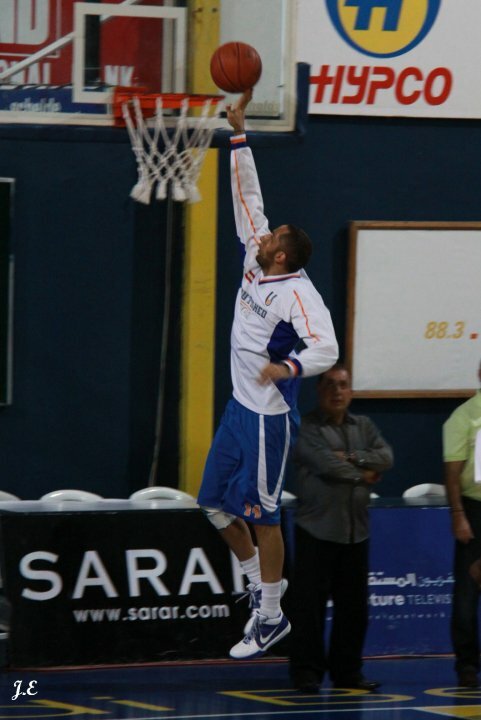 This goes under the big title of how do Lebanese basketball players spend their time on the internet? Better yet how do they keep it going with all the fans that surround them? ‘I’m not very involved in social media, but nevertheless, I always surf the internet, to always be up to date. Regarding news, I always check what is out there; its part of my daily routine,’ Ibrahim said. Mohamad is active on Facebook with around 1928 fans; and exclusive to Interactive Media, he said that soon enough he will have a twitter account. And I just think how fans will go crazy when they know that they can follow on Twitter their number 6 on the Champville team. It’s a truth that must be said, we all had moments where it looked like we hit rock bottom when we stand face to face with social media. It has this feeling that we must be active on it because it’s a necessity. Ibrahim with his coolness always welcomes friend requests from his fans on Facebook. And when discussing Twitter and Facebook and privacy issue that is always accustomed with the subject, Mohamad sounded clever with the way he deals with it. ‘They’re both un-private, once you’re out there, you’re there, but it’s up to the person with how much he/she is ready to share. When on Twitter my tweets are going to be witty, in a sense, I’m not going to be one of those people who express themselves to themselves,’ Mohamad stated. Besides Ibrahim’s sense of humor and easy going character, he prefers to spend time on beneficial matters on the internet, than waste time on dull social media matters. Ibrahim within his natural character always leaves space between him and everything else. ‘It’s just the way we are in the family, and so is the case between me and social media,’ he said. People in Lebanon, most of them are still discovering the whole concept of Twitter. Until they reach the fact that a Twitter account is a must. Time, reimbursement, and exclusivity are what social media is about, if I dare say. And that’s how our famous Lebanese basketball players engage with the dazzling social media life.